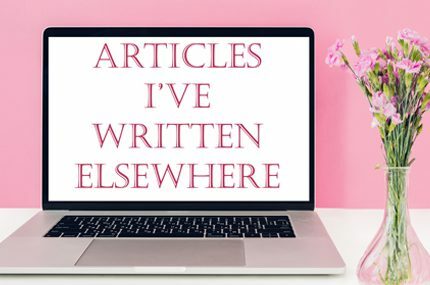 I’ve been umming and ahhing about writing this post for a good few months now, because once I hit that publish button I’m fully committed. But I’ve made my mind up, so here goes nothing: for the next 6 months I will only be purchasing full-priced lingerie. You may have noticed by now that I tend to shop on sale. In 2015, I reviewed 49 items/sets: one personal gift, 9 brand samples, 9 things I’d bought full-price, and 30 things I’d bought on sale. I know I’m responsible in the end for my own shopping habits, but partly my penchant for getting a good ideal comes down to how I was raised – growing up, I never had much money (next to no pocket money, followed by about £3 an hour when I landed an after-school job in my teens) and my mum is a bargain hunter extraordinaire, so shopping trips were always more about raiding the sale racks for the best deals than looking for things I really liked. And I guess that mindset just stuck. Fast forward a decade and I sometimes feel like I’m stuck in a catch-22; I want to support independent brands by buying from them at full-price, but as an independent designer I don’t feel like I earn enough to do it! I do, like many indie designers, have a ‘proper’ job too. I work 4 days a week but my salary from that only really covers the essentials – mortgage, food, exorbitant nursery fees etc. Most of the money from Esty Lingerie goes straight back into the business in the form of marketing and sewing supplies, and the small amount I pay myself becomes my spending money. I don’t think there’s necessarily a problem with buying lingerie on sale. For one thing, when brands put items on sale it’s because they want to clear those items out and quickly – trust me, if you buy from my sale you’re doing me a favour! Also, those 30 pieces I bought on sale last year includes things where I was getting a 15 or 20% discount as well as the more significant markdowns, and at those kinds of sale prices the brand is still making some profit. There’s a big difference between buying a sale item because you’ve just seen it and you liked it / because the sale means you can finally afford it, and waiting for everything to go on sale before you’ll even consider buying it. Refusing to buy full price just on principle is, well, not a very ethical principle to have! For brands, selling the odd item on sale helps to clear the shelves and attract new customers, but selling everything on sale is unprofitable and unsustainable. The reason I buy a lot of lingerie on sale is because of the huge mis-match between my budget and my taste. Cheap lingerie just doesn’t excite me. Mid-priced lingerie rarely does. But as a regular customer of independent brands, I can’t in good conscience buy most of my lingerie on sale whilst hoping to sell most of my own lingerie designs full-price. So I decided to do the sums. Yes I often make sale purchases, but I make a lot of them! I started wondering if my budget was really as limited as I believed it to be, so I scrolled through my Gmail totting up all those order confirmation emails, and this is what I found out: in 2015, I spent £1,726 on lingerie. That works out at a little over £140 a month, and with £140 I could reasonably expect to afford a luxury-quality set with no discount. Not Agent Provocateur Soirée, but still something very nice. That would limit me to one big purchase a month of course, rather than lots of little ones, but that brings me to my second reason for this blog challenge – I’d like to make more considered purchases. Fewer impulse buys. Of those 39 things I bought myself last year, there are only about 15 or 16 I can honestly say I’d buy again if I could start that year over. I have more than enough lingerie now that I don’t need anything more (except perhaps a strapless bra, but I can’t find one I like the look of), so I’d like for anything new I add to my collection to be a well thought-out purchase that I know I’m going to love and treasure. My 6 month challenge will from from June through November. Why only 6 months? Well for one thing, financial circumstances can change. Right now I can afford to do this but next year who knows, so I’m not going to tie myself into never shopping a sale again. This way it also ends nicely just before Christmas which is always an expensive time of the year for me (January and February too – so many birthdays!). There is one rule or exception though, which is that if anything on my little wishlist goes on sale in the next 6 months I’m still allowed to buy it. As I’ve explained, this challenge is as much about making considered purchases as it is about supporting designers, and I’m not going to refuse to buy a piece of lingerie I’ve been dying to get my hands on just because it happened to go on sale. That’s silly. So that you can tell I’m not cheating though, I’m making my wishlist public – the pictures featured in this article are what I’m hoping to buy! Aside from the Helen Valk-Varavin bodysuit which I spotted recently and fell in love with, everything here is something I’ve been dreaming about for months, for a couple of them even years. I can buy things not on this wishlist, but only at full price – no exceptions. Perhaps I will just come out of this feeling like I could have gotten more for my money, but hopefully I will have a renewed sense of appreciation for why luxury and handmade lingerie costs what it does, a sense of satisfaction in knowing I helped a few indies to pay the bills, and of course a drawer full of beautiful things I’m very glad I saved up for! Do you mostly buy your lingerie on sale or at full price, or why? If you don’t already, would you consider doing a full-priced only challenge like this too? I looked in my books and only 13 items have been purchased full price out of 58 items total. So, about 1 in 5 of my purchases are full price. In comparing what I paid versus the retail price, I’ve ended up paying 55.89% of the retail price. The items I paid full price tend to come from indie designers and straight from them (not from a boutique). While this does say something about my purchasing habits, there are definitely going to be some changes in the coming months! I’ve finally built up my daily use bras and knickers wardrobe, so now I can move to the more fun lingerie. That means more shopping from luxury indies and fewer sales and purchases. My full-priced / close-to-full-price purchases are usually from indie designers too, well that and hosiery because it’s cheaper so I don’t really need to wait for it to go on sale! This sounds like an excellent challenge! I really need to take an inventory and figure out how much I reasonably buy in a year (I have a feeling the number will be higher than I anticipate). You’ve brought up really good points here! I wish you luck on your challenge and maybe I can bite the bullet to do the same! Yes, my annual total was in some ways a bit of a shock considering I spend around \A340 on average on a new set – they all add up soooo fast! Aw thanks 🙂 Reviews will definitely follow of everything I buy this 6 months!